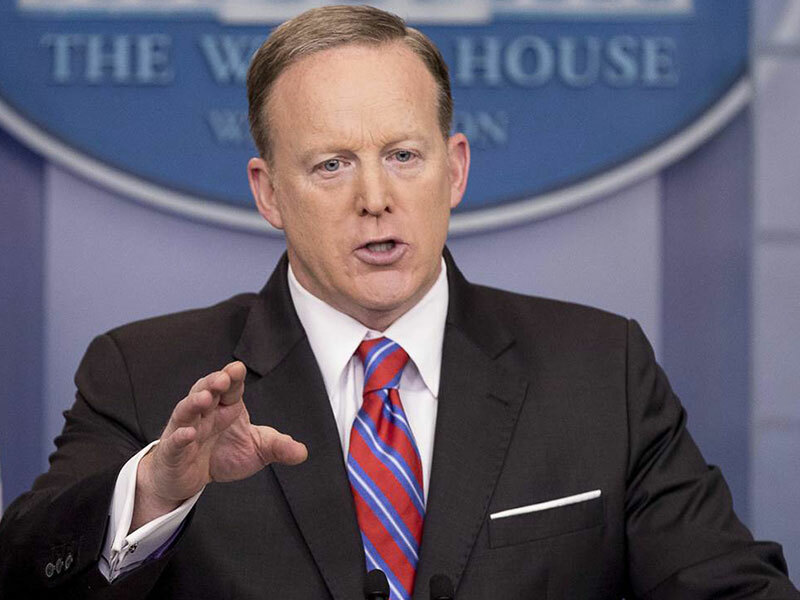 WHITE HOUSE– White House press secretary Sean Spicer resigned Friday morning according to three White House officials. Spicer’s resignation came after New York financier and former Trump campaign fundraiser Anthony Scaramucci accepted the position as White House communications director. A White House official and top GOP adviser said President Donald Trump asked Spicer to stay on, but he resigned. The resignation caps off one of the most tumultuous tenures for a White House press secretary, one that saw Spicer repeatedly undermined in his role as the White House’s public-facing spokesman by the President’s own public statements and tweets. Spicer handled the responsibilities of both press secretary and communications director during much of his tenure, overseeing the White House’s response to a near non-stop deluge of controversy, particularly concerning the widening federal investigation into potential ties between Trump campaign associates and Russian officials. White House staffers are “shocked” by Spicer’s sudden resignation, two White House officials told CNN. Trump has been pushing for Scaramucci to come in for a while, according to a source familiar with the decision. Since the communications director job was open, he would install Scaramucci in that role. This source added that Spicer worried Scaramucci wouldn’t know Washington and that it would fall to Spicer to do both jobs, which he considered to be untenable. Scaramucci’s hiring began to come together Thursday night, but as news of the hire began to leak, Spicer, White House chief of staff Reince Priebus and chief strategist Steve Bannon found themselves largely in the dark — unaware of the President’s already firm intention to tap Scaramucci for the top communications post, according to a source familiar with Spicer’s thinking. Spicer’s job tough since day 1Spicer was repeatedly thrust into a combative role, ordered by the President to take to the briefing room on his first full day in office to lambast the media for coverage of the size of the crowd that attended Trump’s inauguration. The moment quickly defined Spicer’s public-facing relationship with the press and his daily White House briefing quickly became must-watch TV. One White House official said he believes a “fresh start will inject some energy” in a communications operation that has been besieged for weeks by the deluge of Russia-related reports and a sense of disarray.